Since I now own a Macbook for work, I’m a little bit more an Apple fan than before. While I still like Linux as a desktop operating system, Mac OS X is also really nice and the systems of Apple ‘just work’ and are nice to look at. 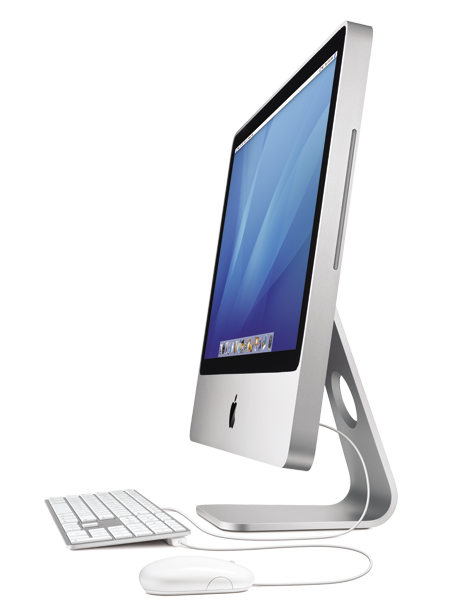 Today, Apple introduced a new iMac, and I think I will buy such an iMac in the near future. They are thinner than before and have an aluminium enclosure which looks really nice in my opinion. Apple introduced also a new version of iWorks, which now also contains a spreadsheet application. I think Apple did what open source developers could have done in order to gain market share and ‘beat’ Microsoft in the Office market. The usability of iWorks is far better than Microsoft’s Office Suite and of course also better than OpenOffice.org (because that’s more a MS Office-clone than a innovative product). AbiWord was doing a good job as an alternative word processor, but lacked on innovation (I think). Apple did some thinking before implementing a new office suite, which lead to another interface than the traditionial office suite interface. I don’t use it however, because it is not open source and it is another vendor lock-in, but I really could use it if I had a large pile of money and wasn’t a supporter of the open source movement (but I shouldn’t use an Apple to begin with, but appearantly I’m not that fundamental). This entry was posted on Tuesday, August 7th, 2007 at 23:13 and is filed under English. You can follow any responses to this entry through the RSS 2.0 feed. Both comments and pings are currently closed.